Evidence Based Health Promotion (EBHP) Programs are programs that have been demonstrated to be effective at improving health and wellbeing or reducing disease/disability/injury among older adults. They have been demonstrated to be effective in the older adult population using experimental or quasi-experimental design and have been published in a peer-review journal. These programs have been fully translated in one or more community sites and provide dissemination products that are available to the public. Also known as the Chronic Disease Self-Management Program (CDSMP) was developed by Stanford University. The program is designed to help individuals with chronic conditions learn how to manage and improve their own health. 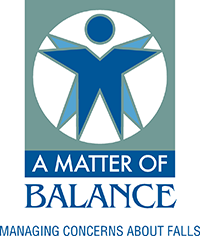 The program focuses on problems that are common to individuals suffering from chronic conditions, such as pain management, nutrition, exercise, medication use, emotions, and communicating with doctors. 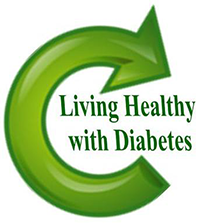 Also known as the Diabetes Self-Management Program (DSMP) is the sister program to Living Healthy, with an emphasis on diabetes. A Falls Management Program for Older Adults. The goal of this program is to reduce fear of falling, stop the fear of falling cycle, and increase activity levels among community-dwelling older adults. A self-care education program for family caregivers designed to improve self-care behaviors, management of emotions, self-efficacy, and use of community resources. A program developed by the Baylor College of Medicine’s Huffington Center on Aging that integrates depression screening and management into existing case management services. Arthritis Foundation Exercise-A program that promotes self-management of arthritis through exercise. Arthritis Foundation Tai Chi-A program based on ancient practice and proven to reduce pain and improve mental health and physical well-being among older adults. Walk with Ease-A walking program that targets arthritis. Active Living Every Day (ALED)-A behavior change program that helps participants overcome their barriers to physical activity and make positive changes that improve their health and well-being. National Falls Prevention Awareness Day was created to raise awareness about how to prevent fall-related injuries among older adults. The annual observance takes place on the first day of fall. North Carolina has designated the first week of fall as Falls Prevention Awareness Week. During this time, organizations throughout the state participate in various events to raise awareness and screen older adults for falls risks. In 2010, workshops were held across the state to disseminate research on falls risks and prevention and to coordinate and systematize falls prevention efforts. These workshops generated 5 new community falls prevention coalitions, greatly increasing North Carolina’s infrastructure for falls prevention programming and policy dissemination. Falls Prevention was listed as a priority objective for the first time in three major statewide plans: Healthy North Carolina 2020: A Better State of Health, the NC Institute of Medicine Prevention Action Plan, and the 2011-2015 NC Aging Services Plan. All three of these plans help to set statewide policy objectives and actions to move forward in the identified priority areas.